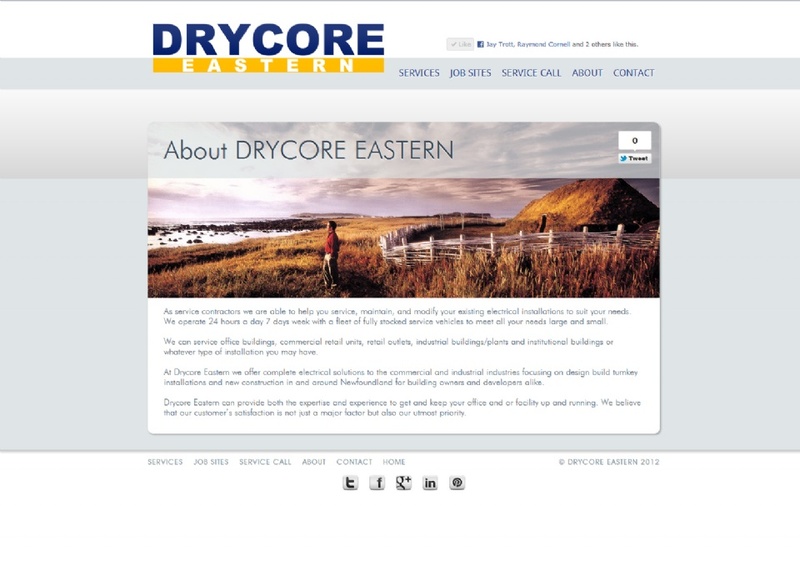 ZENxDESIGN is proud to announce the launch of the all new DRYCORE EASTERN website. As service contractors they are able to help you service, maintain, and modify your existing electrical installations to suit your needs. They operate 24 hours a day 7 days week with a fleet of fully stocked service vehicles to meet all your needs large and small. Drycore can service office buildings, commercial retail units, retail outlets, industrial buildings/plants and institutional buildings or whatever type of installation you may have. At Drycore Eastern they offer complete electrical solutions to the commercial and industrial industries focusing on design build turnkey installations and new construction in and around Newfoundland for building owners and developers alike. Drycore Eastern can provide both the expertise and experience to get and keep your office and or facility up and running. They believe that their customer's satisfaction is not just a major factor but also Drycore's utmost priority.